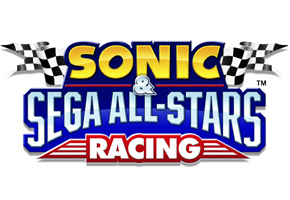 The development director for Sumo Digital says Sonic & Sega All-Stars Racing is a different beast than the long standing Mario Kart series, but stopped just short of touting it as a better product. I don’t think the plan was to make a rival to Mario Kart. I think if you make a character based racing game, Mario Kart does set the bar. As a studio we’re big fans of Mario Kart so I would hope people who like Mario Kart will see our game and see a lot of the things they enjoy in Mario Kart in our game. I think we do a lot of things differently to Mario Kart. I think we’re probably more of a racer than Mario Kart. Our gameplay offers a faster gaming experience – it’s more frenetic and it’s more intense than Mario Kart but I’d hope that people who like Mario Kart would see our game and enjoy it. In particular, Duncan called out Mario Kart‘s drifting system, and claimed the system in ASR will be, in his words, “more accessible,” but also tougher to master. The interview also affirmed Gilius from Golden Axe won’t make the cut for the main roster, saying it made it to the early prototype stage but was scrapped shortly after. My favourite character hasn’t been announced yet. (Tristan’s note: O RLY?) Big the Cat I like because it’s a huge cat on a very small bike with a very cool All-Star move. Billy Hatcher gets a notable mention. For his All-Star move he’s running on top of these a giant eggs crushing other vehicles. How can that not be cool? There’s an emotional attachment [with these Sega characters]. So you pick Ryo from Shenmue and you immediately have that fond memory of playing him originally. Even though he’s on a motorbike in a racing game, there’s still this emotional attachment to him that you wouldn’t normally have. People are fond of Mario games because they like Mario and they’ve spent 15 years playing Mario games. I think everyone will have their own favourite character that they remember playing like Alex Kidd on Master System. When you play them, they’ll make you smile and when you see their All-Star move and hear the music track from the original games, that’s all stuff that pulls on your gaming heartstrings and gets you really excited. If you want to read the whole interview, you can click the first link in our story, and it will take you directly to the ONM website.